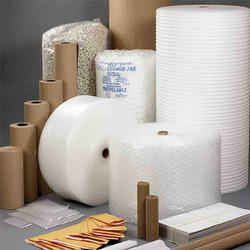 We are a leading Manufacturer & Supplier of Packaging Material from India. Being a client-centric organization, we are engaged in manufacturing and supplying a distinct collection of Toys Blister Packing. - Used for packaging of toys. The Protective Packaging Material is manufactured using high grade material and machinery. The material is sourced from the owner of several patent right in VCI packaging application with many more international Test Certificates. We ensure to check its quality before offering at market leading prices. 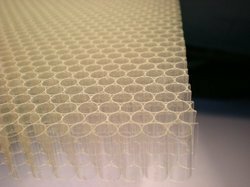 Our Protective Edging can be used to prevent the edges and angles of articles from damaging during conveying, warehousing and transportation. - We undertake complete projects to set-up packaging unit from inception to commissioning. Deal in supply of machineries and material covering paper board, laminates, foil & other wrapping materials. Day 01: Arrive Leh (3505 meters / 11567 feet. )Early Morning Arrive in Leh Airport, Transfer to the Hotel. We advise that you spend the rest of the day in leisure so you quickly acclimatise to the high altitude. A relaxed day exploring Leh town, will include visits to Shanti Stupa and Leh Palace. Overnight in Leh. The Woodbridge Group®, supplies molded bead foam products, to the automotive, pharmaceutical, consumerelectronics, appliance and construction markets. Products include; one-way protective packaging, insulated containers, returnable dunnage and material handling totes. Woodbridge also supplies structural and insulated components, for original equipment manufacturers. Products are offered in aluminum strips, blisters, and Alu-Alu packs. We can offer sachet pack also.